Description: The Toe Touch Progression is a great exercise for building balance, proprioception (knowing where you are in space) and body awareness. It also helps as a basis for lower body exercises like the squat. The Toe Touch Progression is a great hamstring stretch as well. Balance and flexibility are such an important part of the golf swing that any exercises that work on both should be a regular part of your exercise routine. 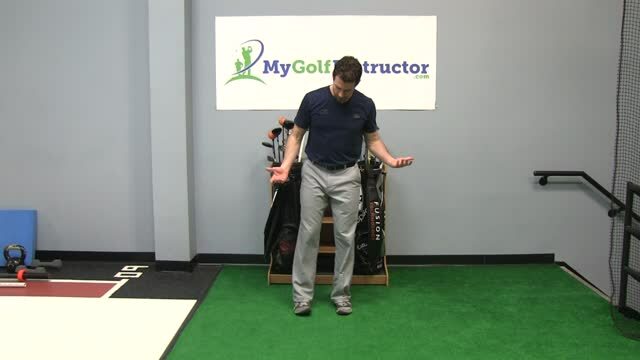 Start this exercise by standing straight with your feet a comfortable hip width and your toes turned out. Bend your knees and reach down to grab your toes. Holding your toes try to straighten your legs as much as you can without letting go of your toes. Hold for 10 seconds and then let go and get back to your starting position. Next, turn your toes out and perform the same exercise. Lastly try it with your toes straight. Try performing 3 sets of 5-6 reps with your toes in each position. If need be you can add more repetitions to your routine.